Classic travel route to enjoy many faces of China, historical, natural, modern and etc. 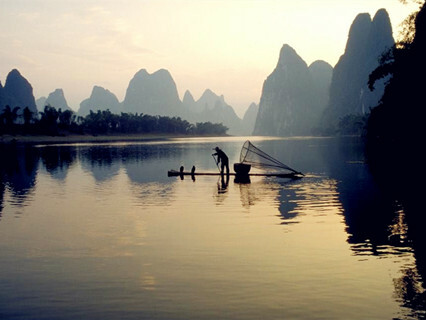 Cruise on the picturesque Li River to admire the unique karst landscape. When you arrive in Beijing, after you claim your luggage and custom, you will be met by tour guide in the arrival exit, our guide will hold a sign with your name, then we will transfer to your hotel. The hotels in our package are located in the central Beijing-the famous Wangfujing Street. It would be very convenient to walk around, go shopping, have meals and etc. Free at leisure for the rest of the day. Today, we will go to the Tian'anmen Square, where the most important national ceremonies are held, surrounded by many historical buildings. From the square, you can walk to the Forbidden City. Inside this imperial palace, we will explore its fascinating halls, pavilions with golden roofs and high red walls. 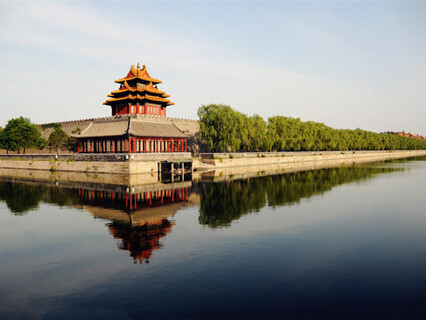 After we exit the Forbidden City, we will enter another attraction Jingshan Park where we will see local Chinese residents taking exercise, singing or dancing, and we will climb the hill inside the park. 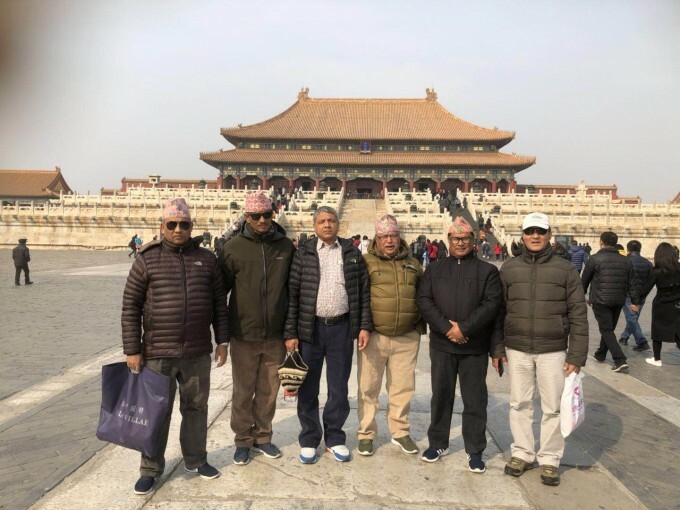 When we reach the top of the hill, we will enjoy the bird view of the whole Forbidden City and Beijing central city, which is a highlight of today. Then go to Silk store. In the afternoon, you will visit the Temple of Heaven, where ancient emperors came to worship the heavens in hopes of good harvests. Enjoy the Peking Acrobatic Show or Peking Opera or Kongfu show with basic seat in the evening. 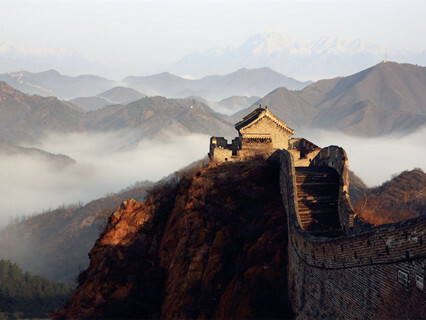 Today we will hike on the Badaling Great Wall or Mutianyu Great Wall, the most highlighted sight in Beijing. Please be prepared with your shoes since you will climb on the steps of the great wall. To reach the top of the great wall you can choose hike by foot or take the cable car(cable car ticket not included). As one of the seven wonders in the world, it will surely impress you. After lunch, we will visit Ming Tomb(Dingling) and Sacred Road, alone the sacred road there are many stone statues of people and animals on both sides. These are the loyal guarders of the royal graveyard. 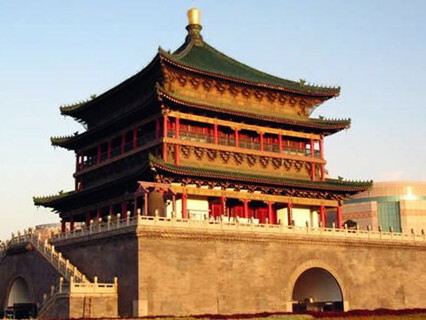 The Dingling Tomb is the only tomb that has been excavated among the 13 Ming Tombs. 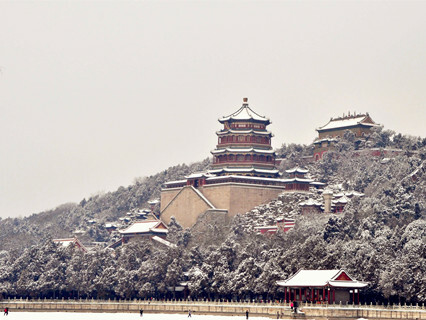 We will visit the beautiful Summer Palace - the largest imperial garden in China. Walk along the elegant Promenade, see stone boat, visit Kunming Lake and Longevity Hill. Optional boating is available on the Kunming lake. Take afternoon flight to Xi'an. Arrive in Xian in the same day. The local tour guide will meet you and our driver will transfer you to your hotel. 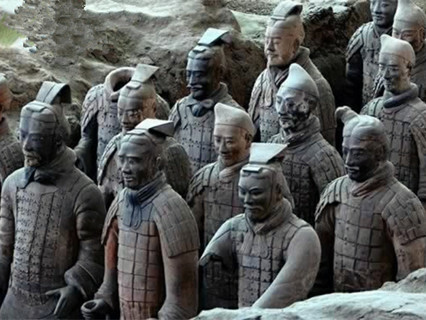 In the morning, go to Terracotta Warriors and Horses Museum, which is the most important attraction in Xian, there are three excavated pits exhibiting amazing Qin dynasty warrior and horses figures.Then go to the Bell Tower, the emblem of Xi'an city. At noon we will have lunch at a well-known restaurant. After lunch, we will visit the Small Wild Goose Pagoda in Jianfu Temple. Enjoy the Tang Dynasty show in the evening. Visit the Shaanxi History Museum, where you can learn more history about Xian through the cultural relics: bronze wares, jade, potteries, and murals from the Prehistory Period to the Qing Dynasty. Then visit Ancient City Wall. It was build in Tang Dynasty which survived through Chinese long history. It is the most complete existing urban fortification in China. You can walk or cycle on the ancient wall (bike rental fee is not included). 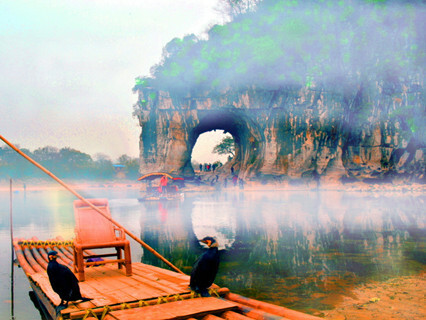 After visiting these spots, you will take flight to Guilin. Arrive in Guilin on the same day. Be met at the airport and transferred to your hotel in Guilin. Full day Li River Cruise to Yangshuo with lunch aboard and return to Guilin late in the afternoon. Be met at your hotel at 7:50 ~ 8:30am and transferred to Li River pier (Zhujiang pier) at 9:30am, and then take a cruise (4.5 hours) to Yangshuo with lunch aboard. Enjoy picturesque scenery along the Li River with green hills and clear waters. Disembark at Yangshuo in the afternoon and take a short exploration to the 1400-year-old town. Back to your hotel in Guilin after the tour. 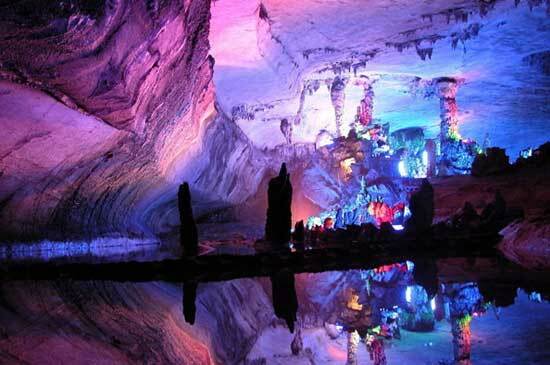 In the morning, we drive to visit Reed Flute Cave, known as “the Palace of Natural Arts”, which holds a great number of beautiful stalactites and stalagmites in different shapes. Have lunch in a nice restaurant with Chinese dishes. Then head for the Elephant Trunk Hill, which is the landmark of Guilin, looks like a huge elephant drinking water from the river. After the tour, we will take you to the airport for your flight to Shanghai. 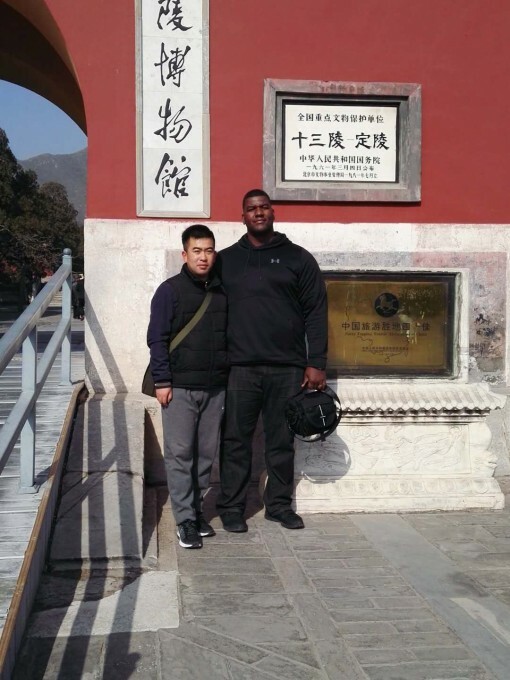 The local guide will pick you up at the airport in Shanghai and transfer you to the hotel. Today, we visit Shanghai Museum treasured with ancient art works of China, including bronze ware, chinaware, paintings and calligraphy. Then we tour the Yuyuan Garden, a famous garden in the south China. The symbol of Yuyuan Garden is the Nine Zigzag Bridge built of granite and grass-white jade and the quaint, elegant mid-lake pavilion. After that, we go to Jade Buddha Temple. 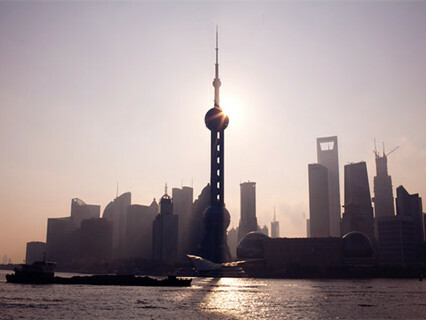 Afternoon we visit the Bund, where you can see the famous Oriental Pearl TV Tower across the river, a good place to take pictures of Shanghai. 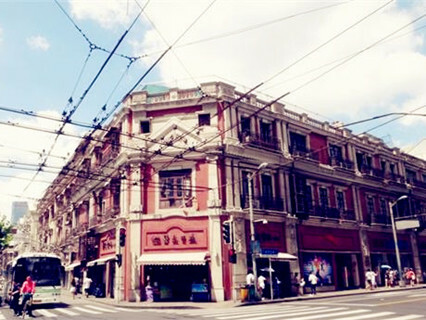 After that we will walk to Nanjing Road, and then visit an old street in Shanghai. At last, we will go back to hotel. Free at leisure until to be transferred to the airport for the flight to your next destination. English-speaking tour guide. Coming and departing international or domestic flights. Hotels (twin share bases) as listed in the itinerary. Tips for the guide and driver according to their service. Domestic flights between the cities as listed. 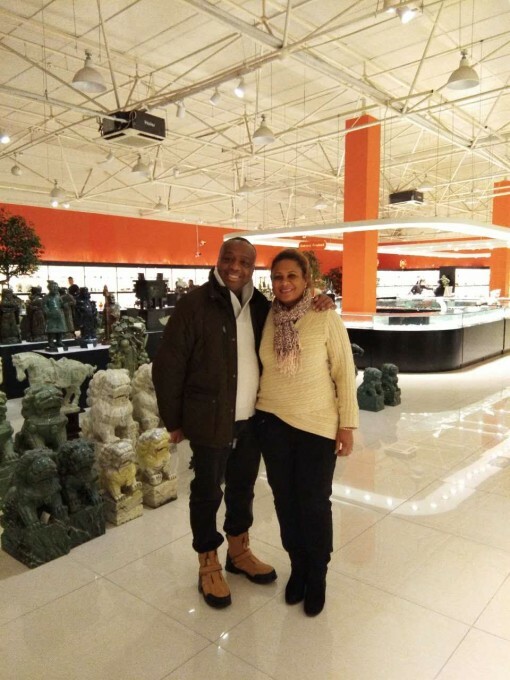 We learned much from our tour guide about china culture.I highly recommend Tours Net. more.. The guide on day one was very friendly and helpful,We enjoyed very much this tour. more.. Thanks to Chinatour.net and our tour guide Crine! more..